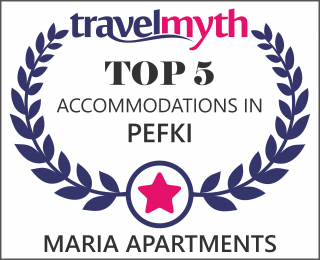 I opened my email today and learned that Maria Apartments are in the top 5 accommodations in Pefkos. Thank you to all guests and to Bonnie who has worked hard with me to provide great accommodation and service to all of our guests over the past five years. If you have not already booked your accommodation for Pefkos then contact me and give us a try…….. some availability for certain weeks though out the summer….